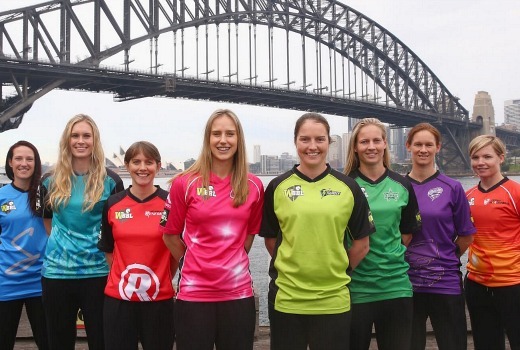 ONE will broadcast eight matches of the inaugural Women’s Big Bash League, including the Final, live from mid December. The inaugural season will feature players including Ellyse Perry, Julie Hunter, Jess Cameron, Meg Lanning, Megan Schutt, Holly Ferling, Rene Farrell and Sarah Elliott, as well as international players. TEN Head of Sport, David Barham, said: “Network TEN is delighted to be broadcasting the inaugural season of the Women’s Big Bash League live and free on ONE. “Australia has some of the best players in the world and we are delighted to support Cricket Australia with this exciting initiative. General Manager, Operations for Cricket Australia, Mike McKenna, said: “The Women’s Big Bash League is a significant step forward for women’s cricket in Australia, as we aim to create a visible pathway for talented female athletes. TEN also broadcasts women’s events including ANZ Netball Championship, Australian Swimming Championships and will air the 2015 Netball World Cup in August. ONE will broadcast its first match on Saturday, December 19, 2015. Thank god. We need decent HD sport. Couldn’t stand blurry SD! I know Netball Australia paid for the right to show games on Ten, is Cricket Australia doing the same thing or was it part of the men’s big bash broadcast deal to show women’s t20 games as well? I was watching something the other night (possibly the Project) and they announced One will be broadcasting the Womens Big Bash – and thought “good on them”. Of course, they left out the fact there are 59 matches in total for the tournament, and they’re only broadcasting 8 of them. Yeah, well done indeed Network Ten. I suppose eight matches is better than none, but its just like their V8 coverage – “home of XXXX sport, god we’re good… look, live and free to air”… just don’t expect to see a complete tournament / series – only what they choose to show. Did FOX Sports show all matches of the WT20? No they didn’t and One only televised the final of WT20. What you are forgetting is that there is more Women’s domestic cricket then ever before. Stop being sarcastic as its a step in the right direction not the wrong direction for women’s sport as they need exposure. Essentially they are double headers so it would make sense for One to air both men and women on the same day at same venue. Ten is the home of big event motorsport. They are televising the series in the case of SuperSprint a highlight packages for main race and support. What you are forgetting is SuperSprint round don’t rate as they only make up 34% of the audience which is 8 weekends and if you compare that SuperStreet and Enduro rounds it makes up 66% which is a lot so it would make sense for Ten to air them. They show every round of the V8s. The list of sports on the anti siphoning laws was altered on Thursday to allow Network Ten to show them on a multichannel. i.e. just like the Nine Network are showing the Ashes live on GEM.